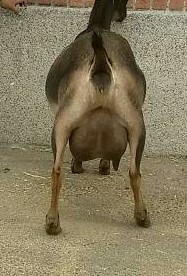 Here is another exciting doe that was offered to us by the Blomquists. We are very excited to have her. She has great genetics. 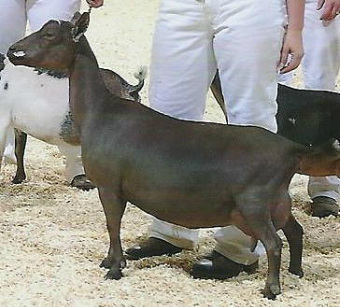 Her grandam being the ADGA Reserve National Champion Senior Nigerian Dwarf in 2013. She looks an awful lot like her grandam. as well. Goodie as we call her freshened with a single doe kid at the beginning of June and hasn't been shown much this summer. We are excited to watch her mature and see what she has to offer. Goodie had a very good year this year. 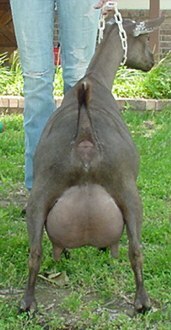 Besides freshening with triplet bucks, she performed very well in the milk pail as well as in the show ring. We are really excited to see her with another freshening. 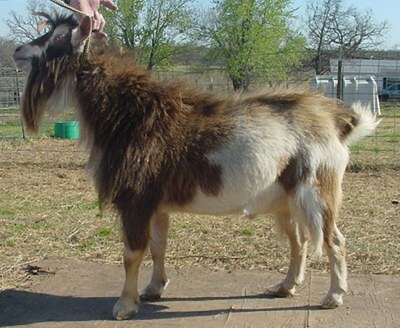 Unfortunately, Goodie decided to get bred in a unauthorized breeding this year and kidded in early January with a single buck kid. 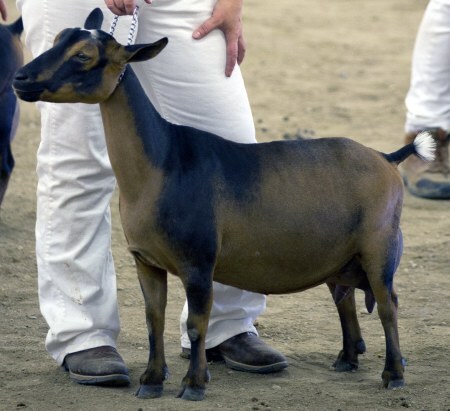 This didn't really help her in the show ring this year as she was pretty stale as show season came around. 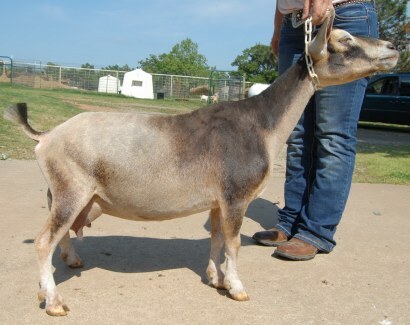 We hope that next year she will cooperate and we will do better in the show ring. 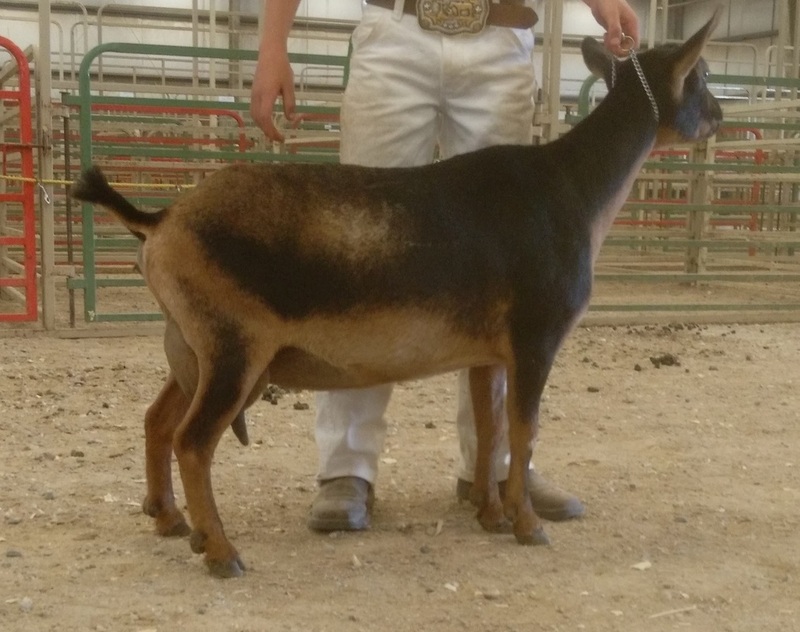 Goodie kidded with a single buck kid this spring, but has milked very well for having just a single. 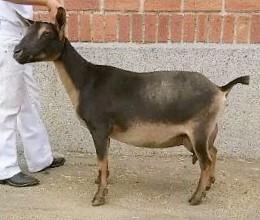 She has been bred to Grand for mid March kids. ​We are very excited to announce that Goodie earned her SG status this summer as well. Doe kids: $350 Buck kids: $350 Kidded with single buck kid. 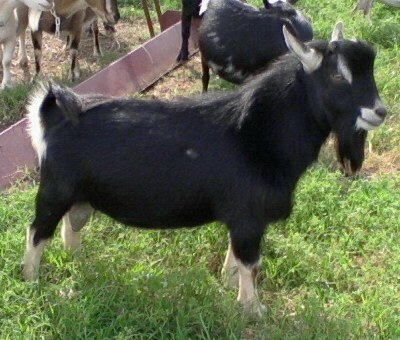 Buck kid available.